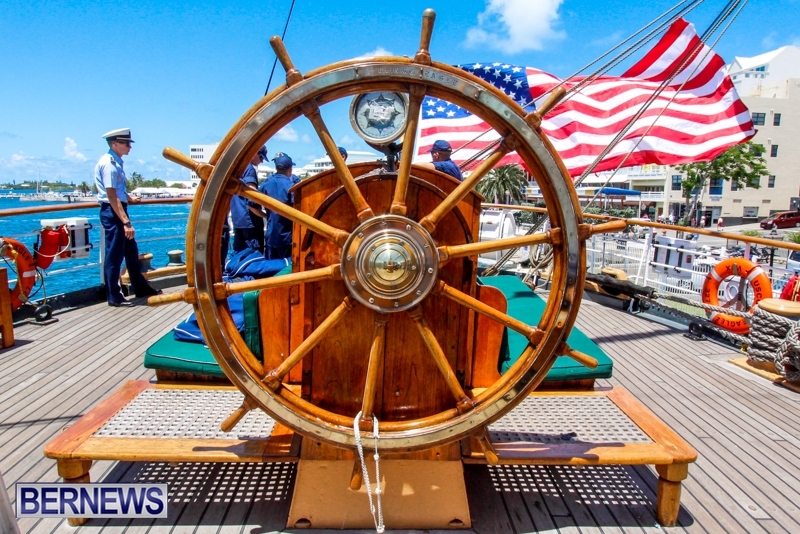 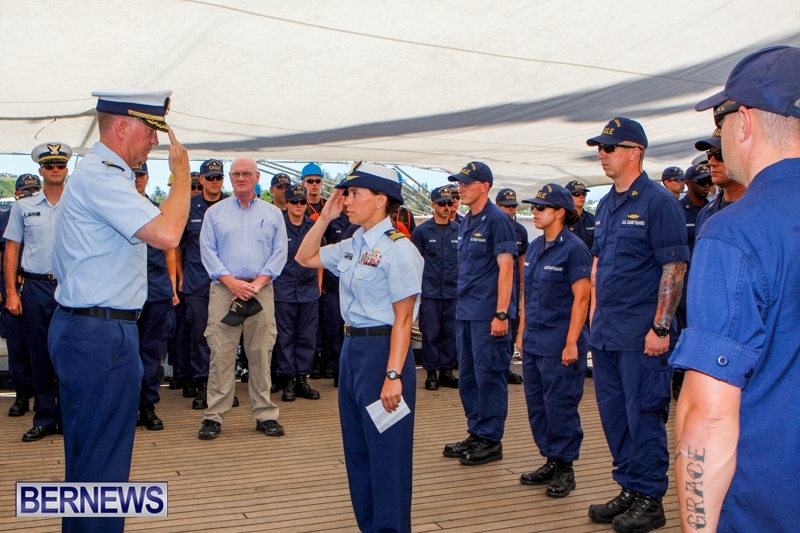 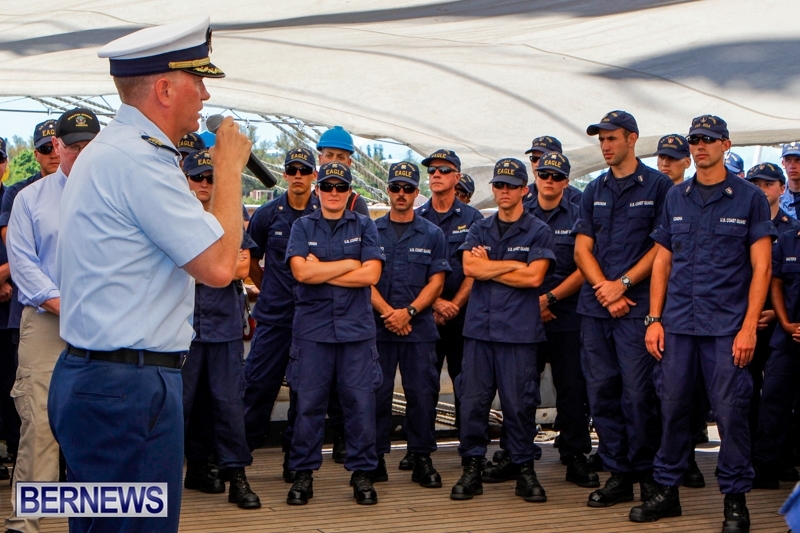 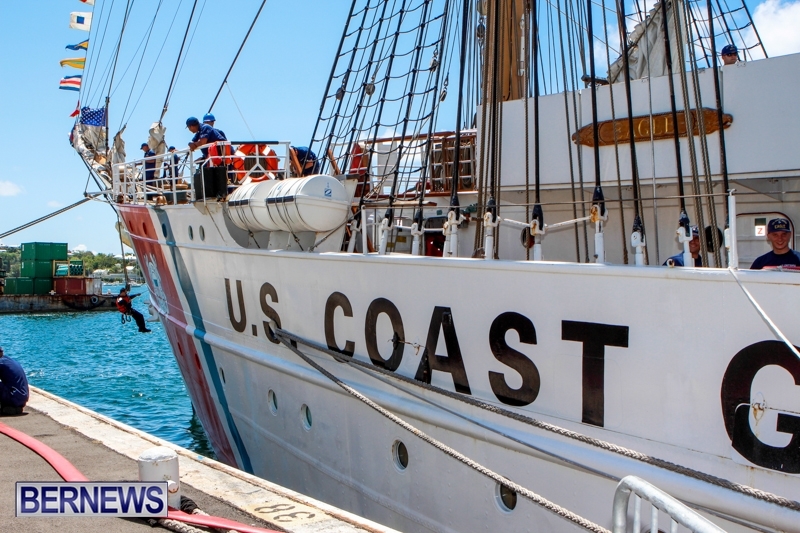 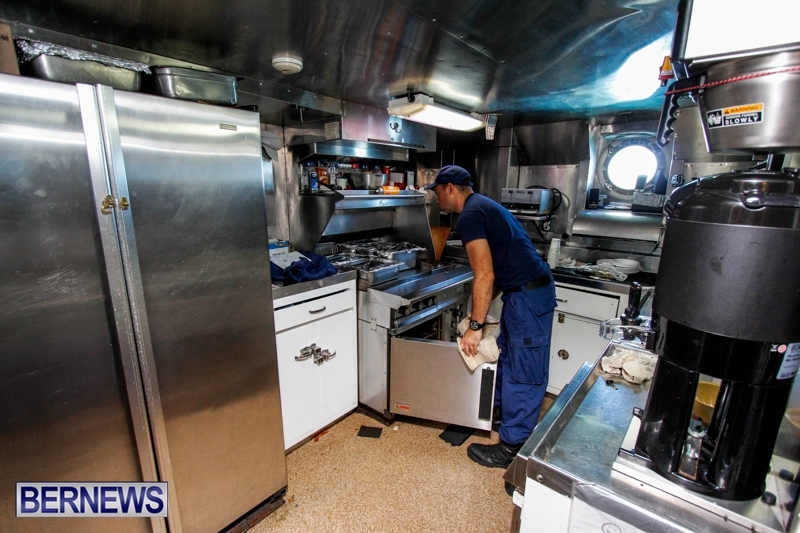 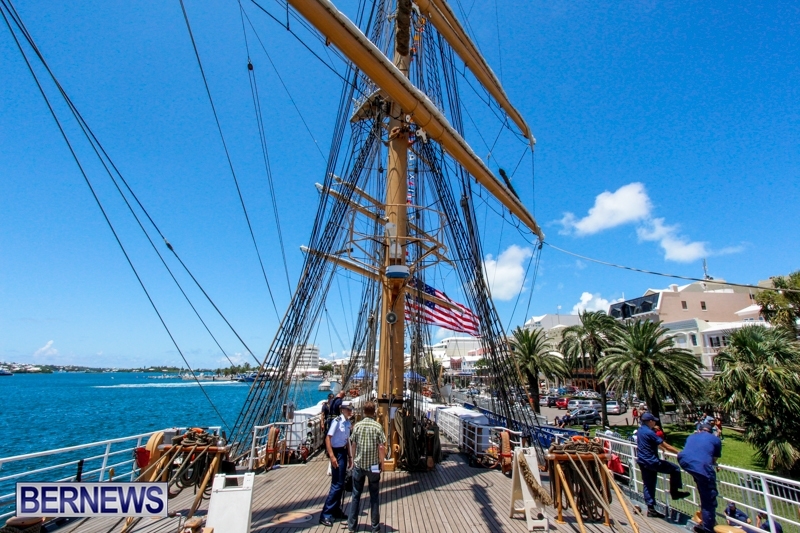 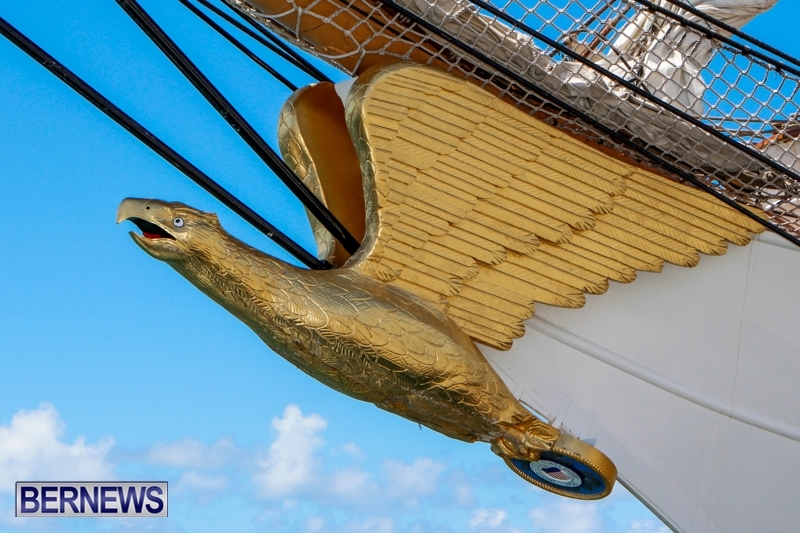 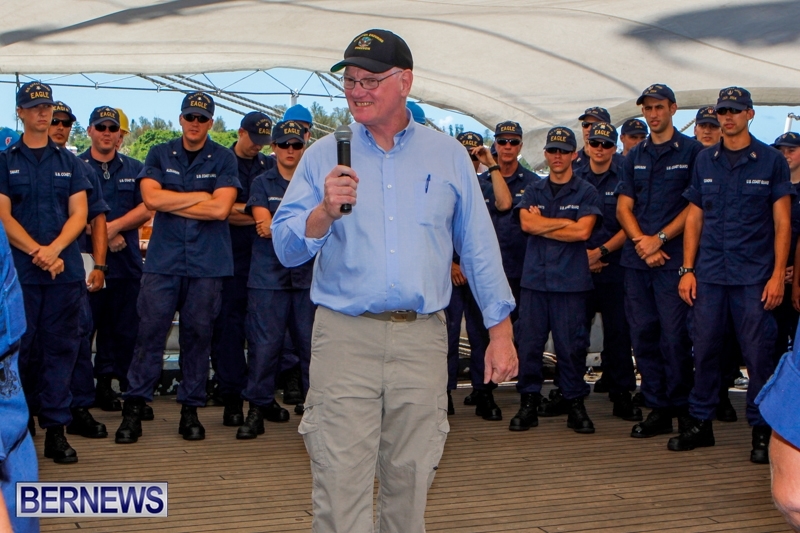 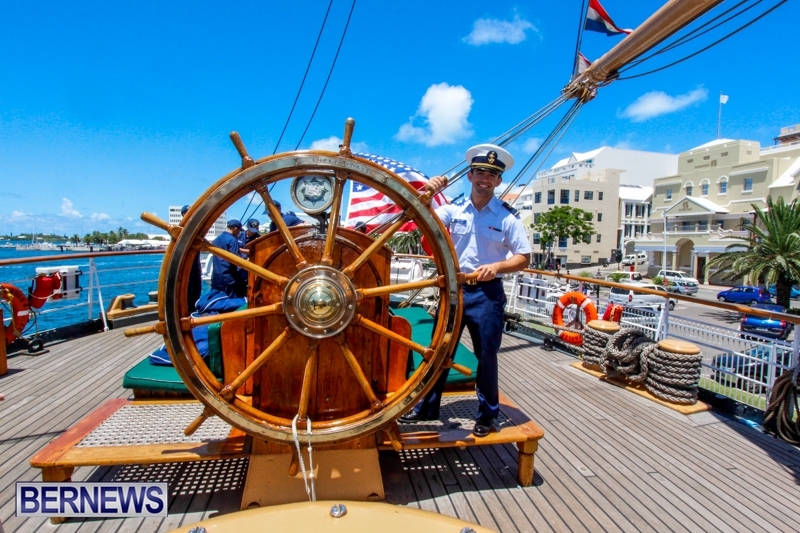 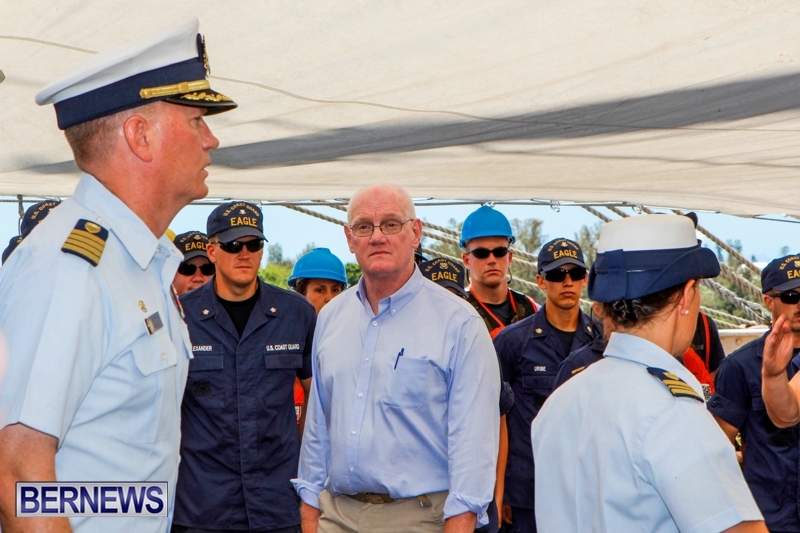 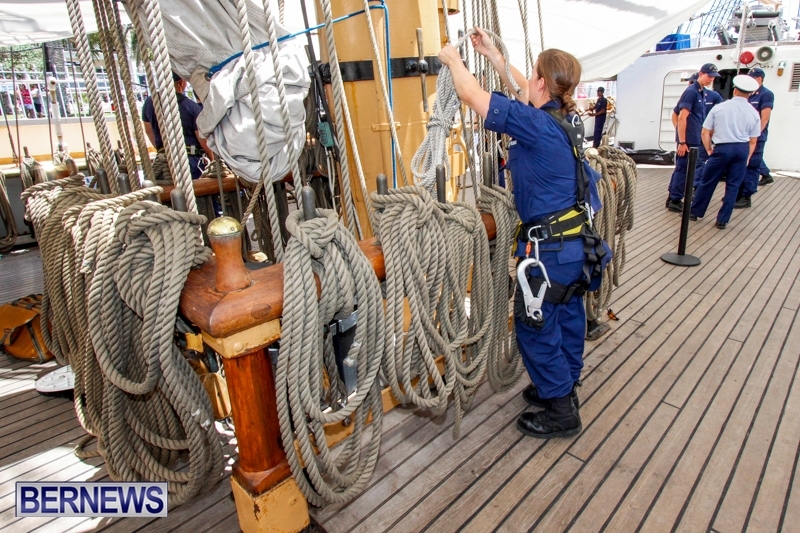 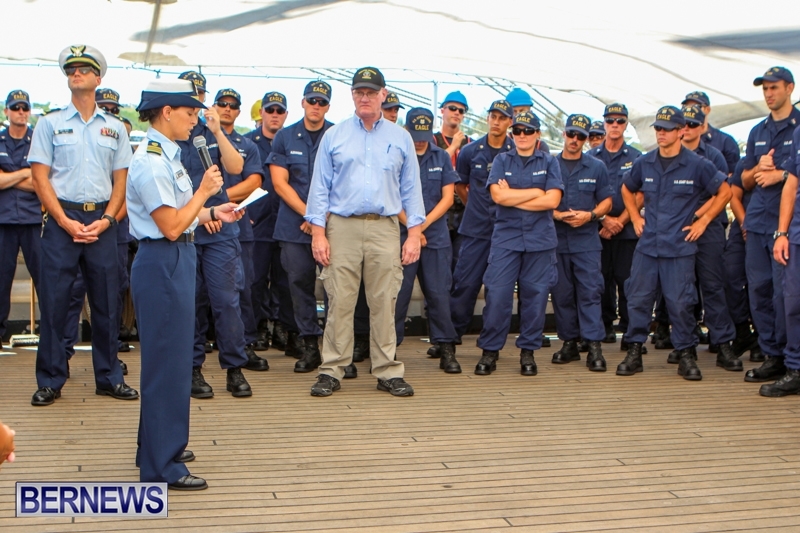 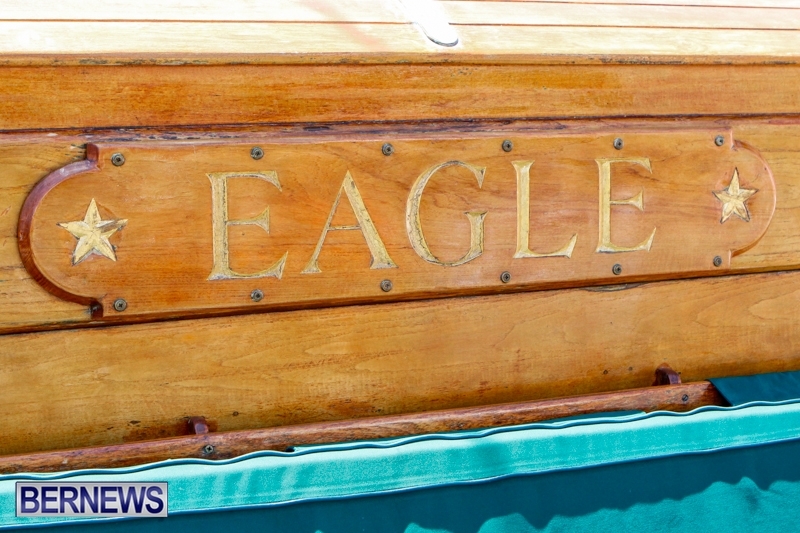 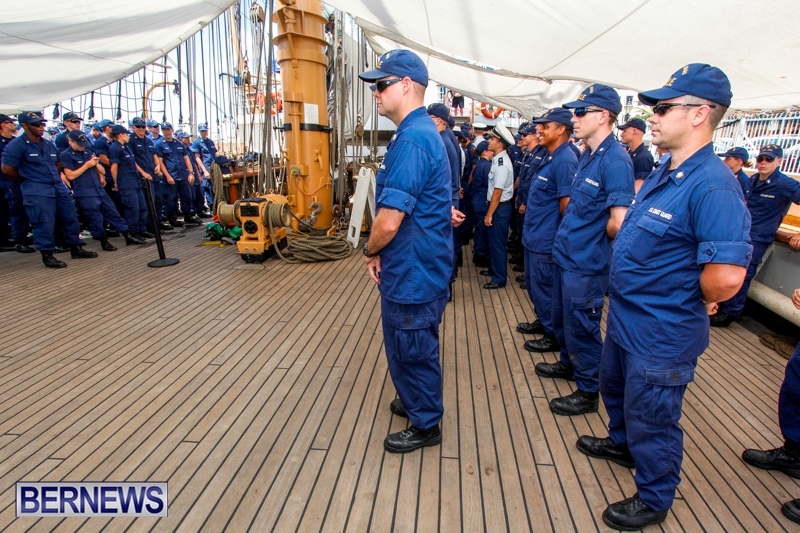 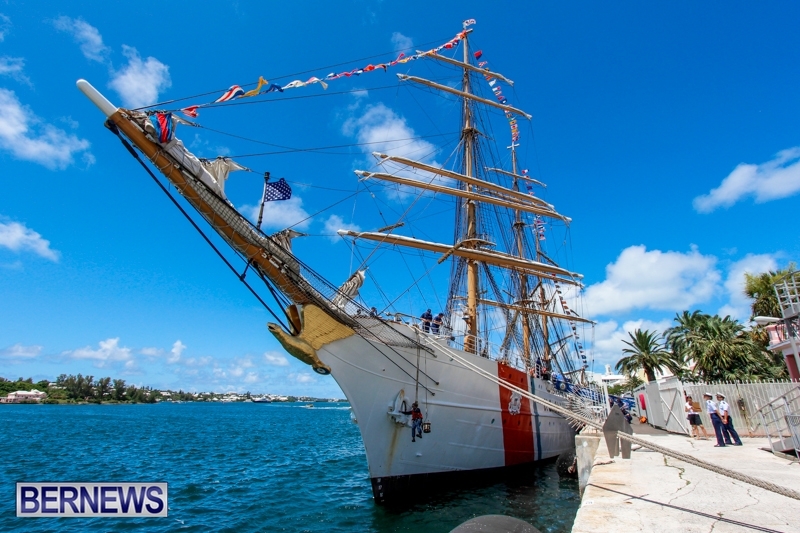 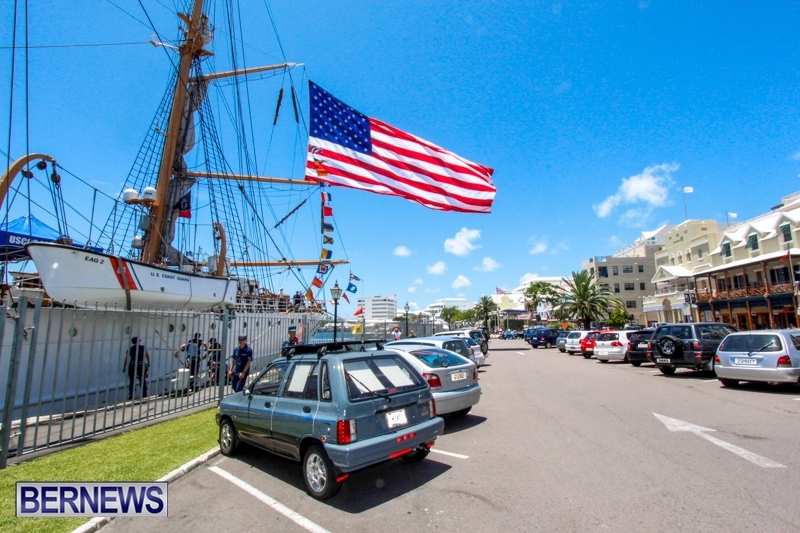 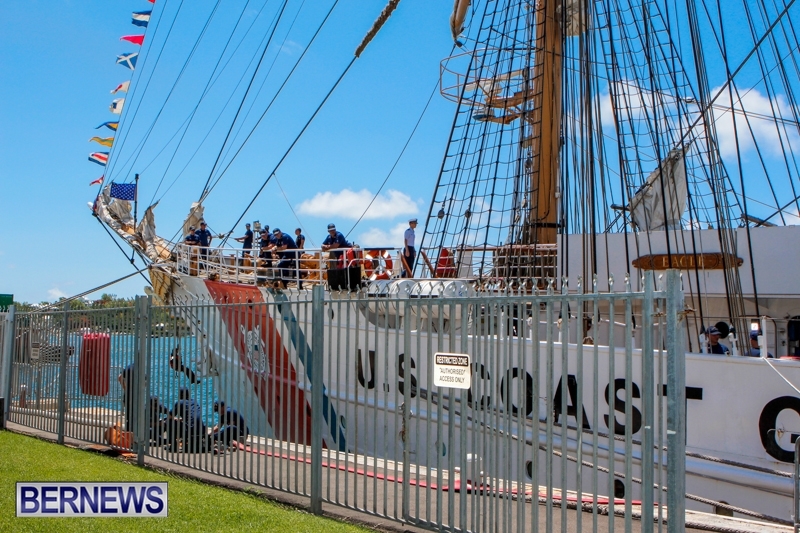 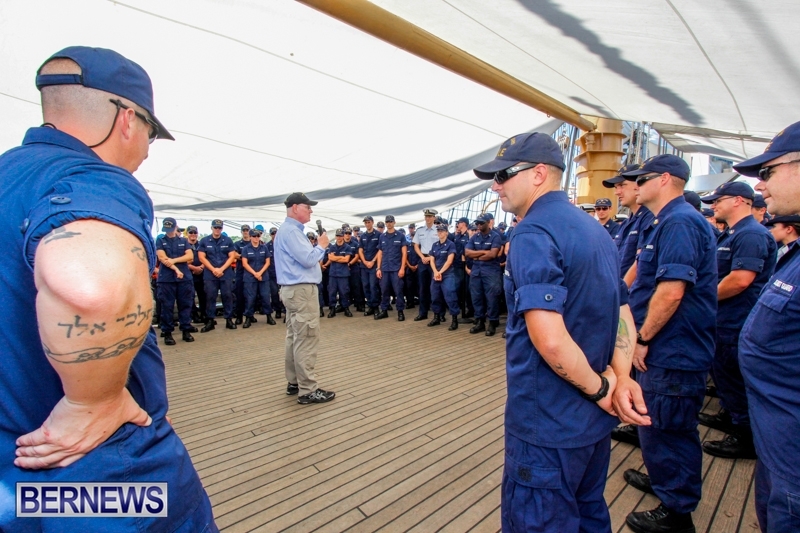 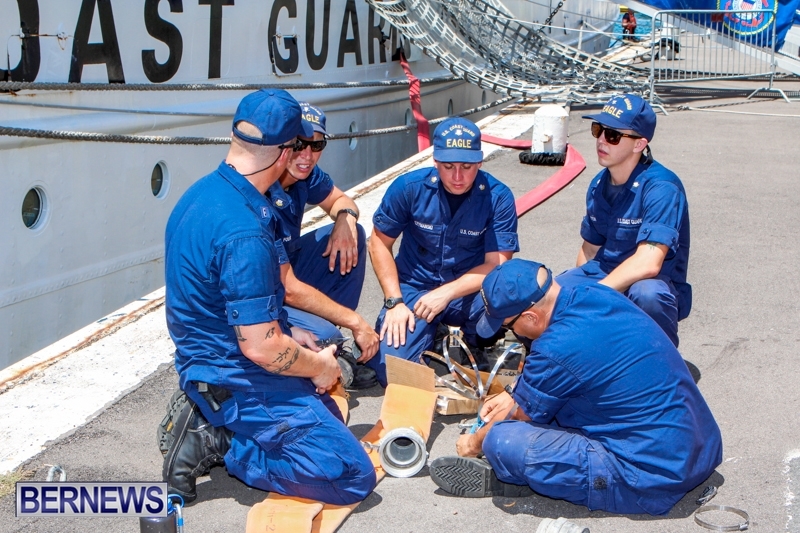 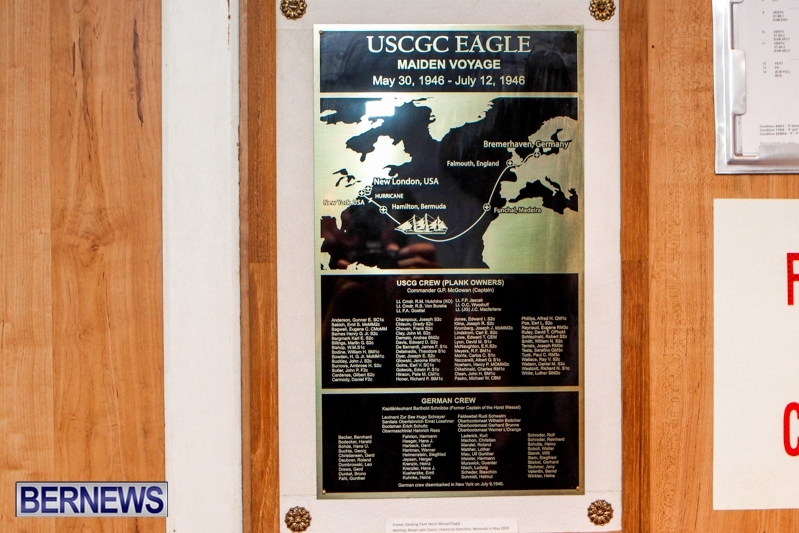 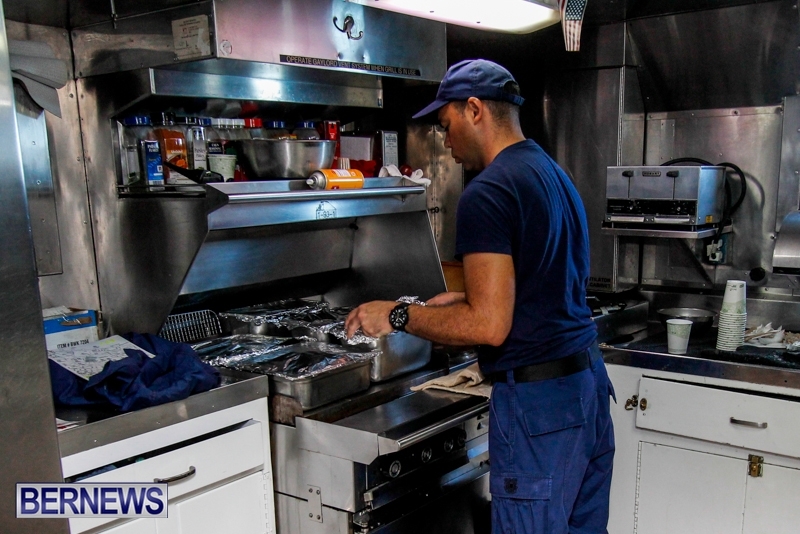 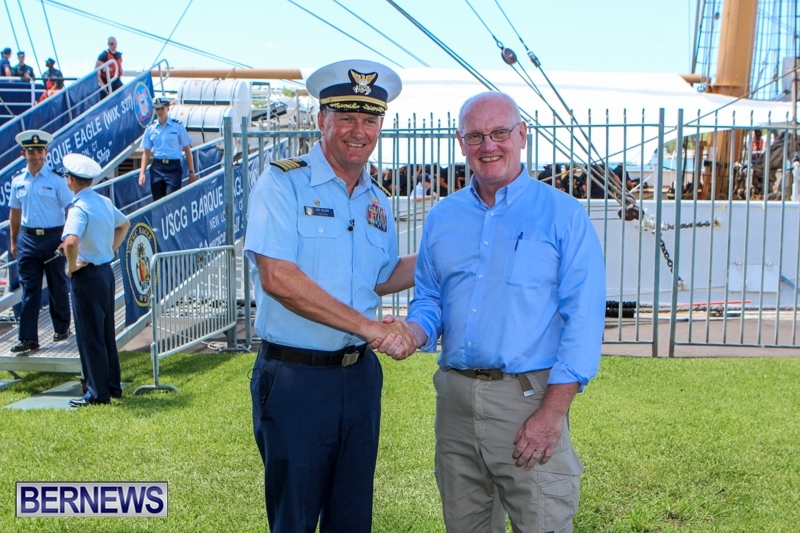 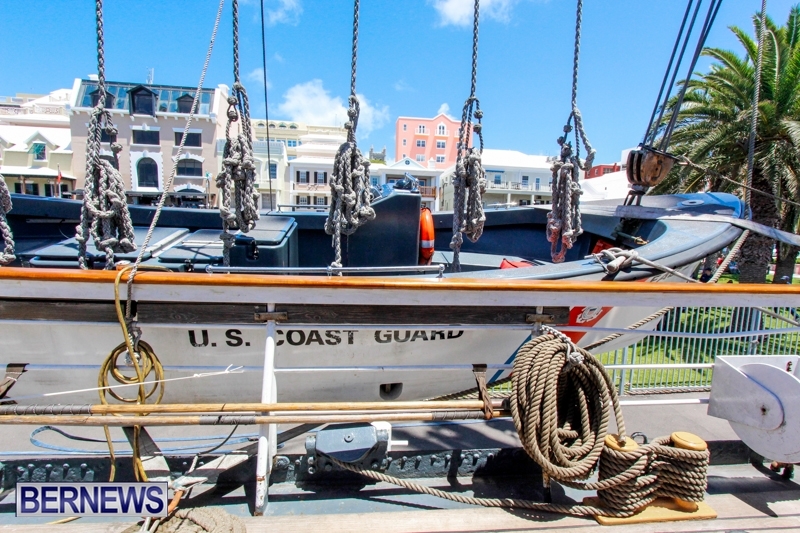 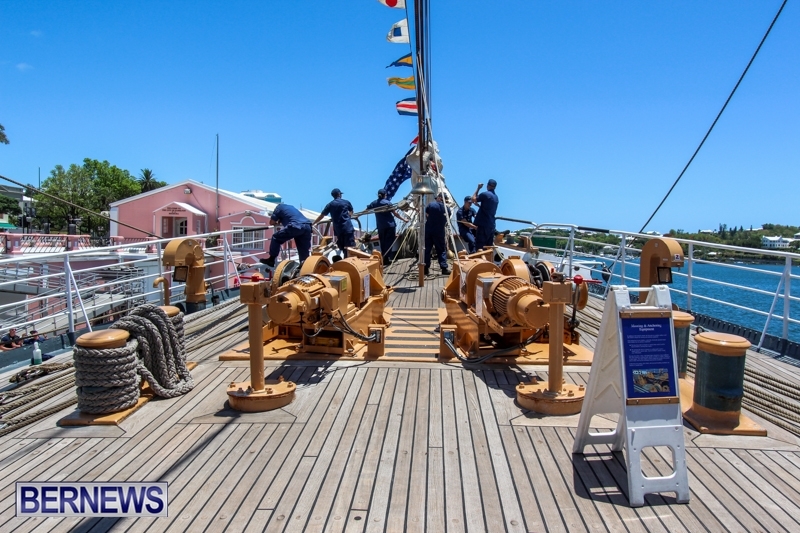 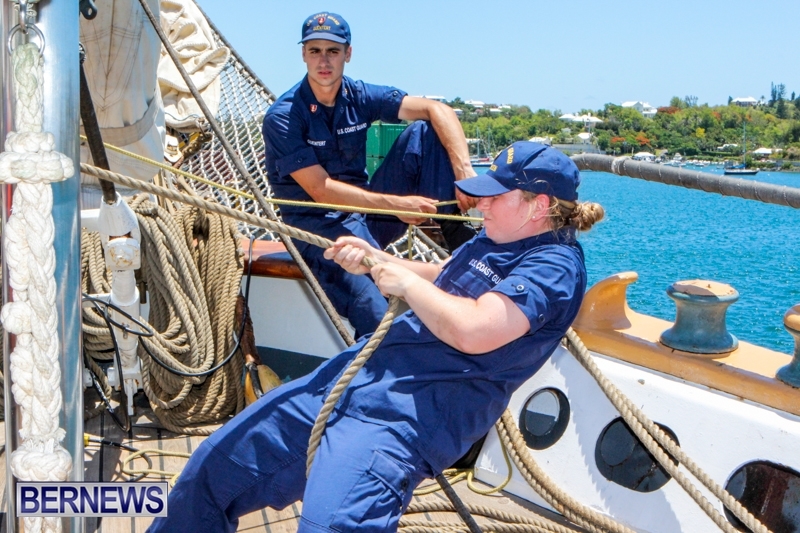 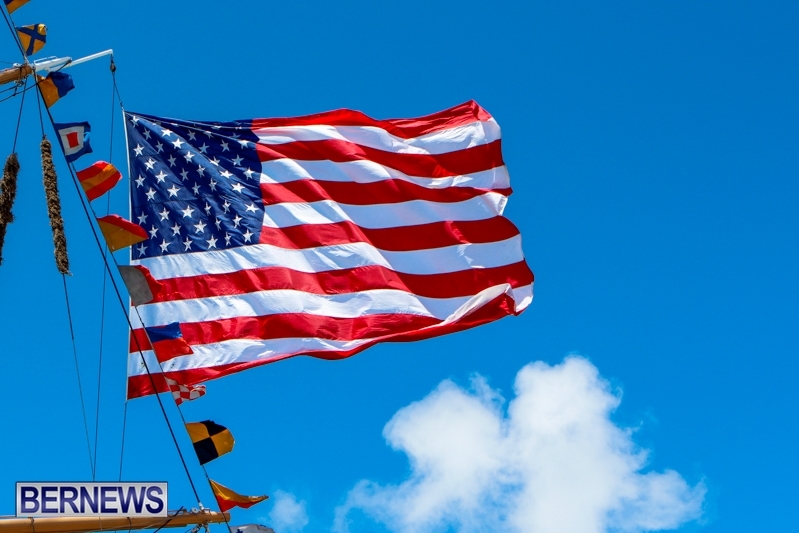 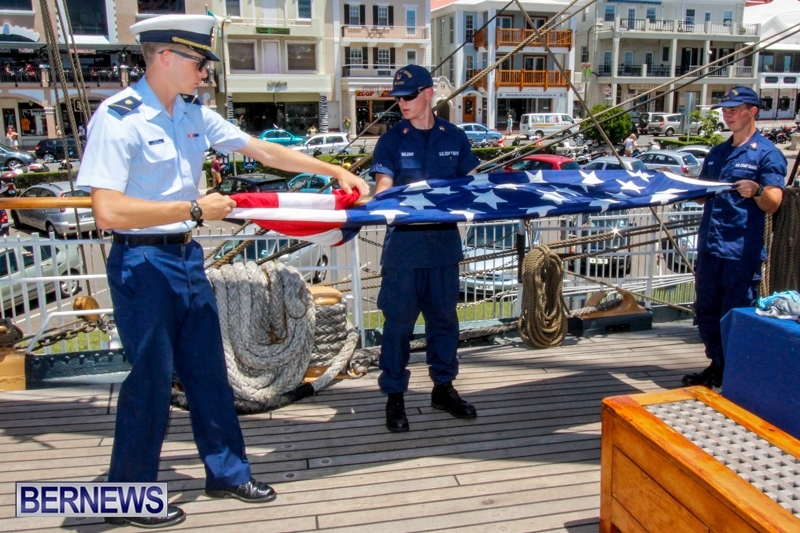 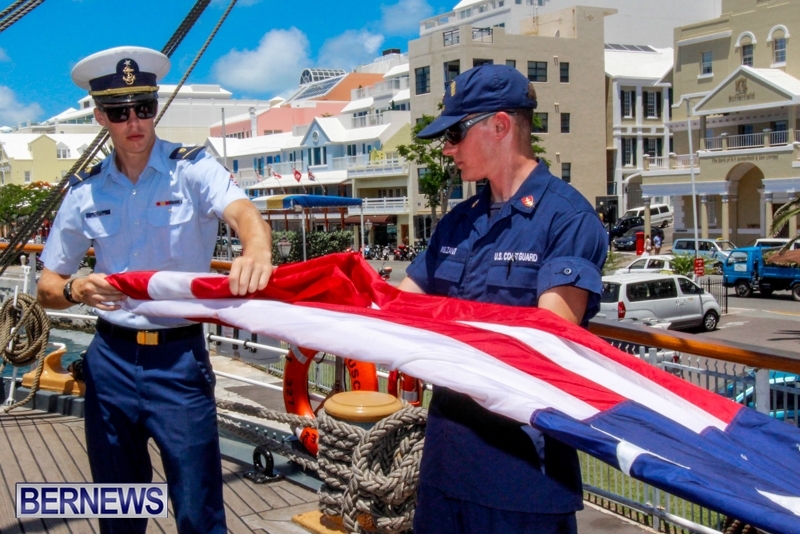 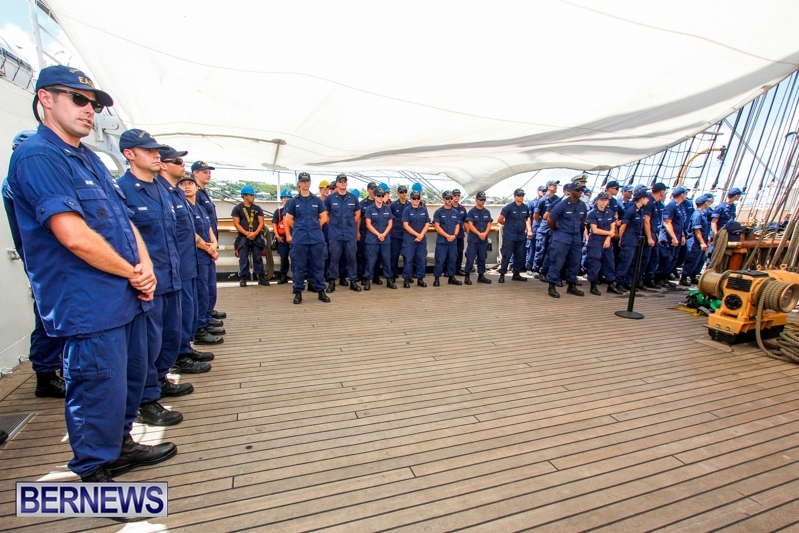 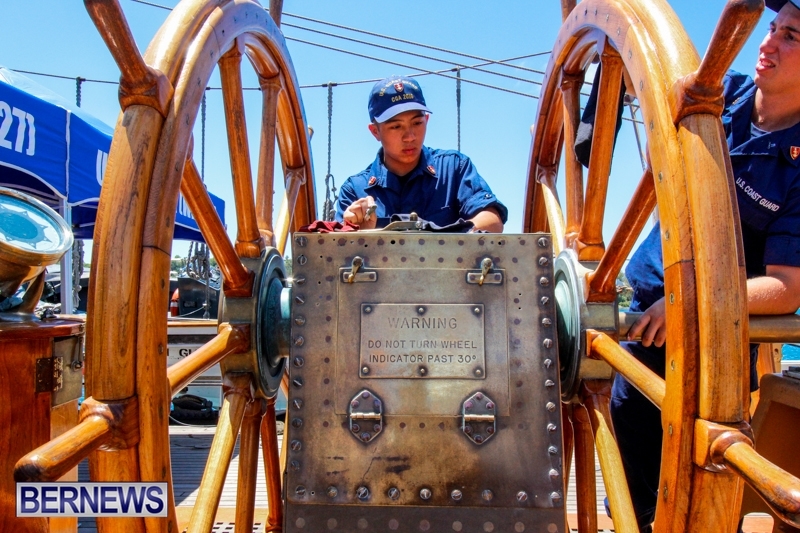 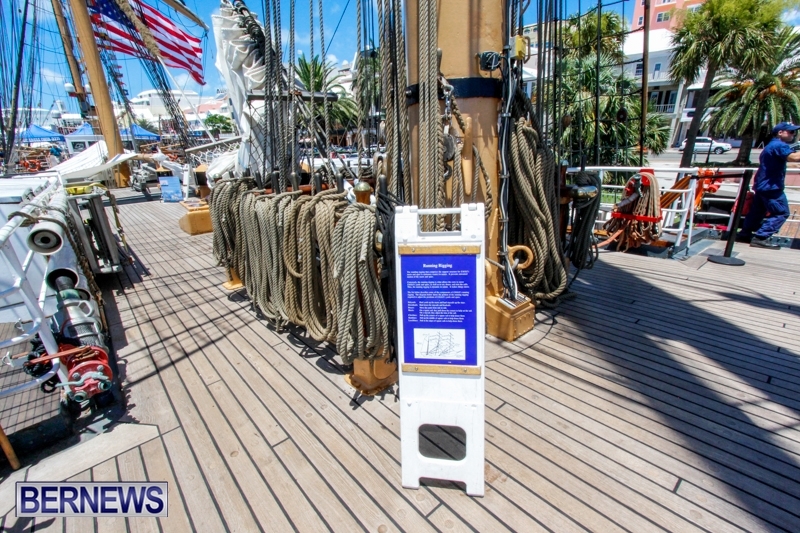 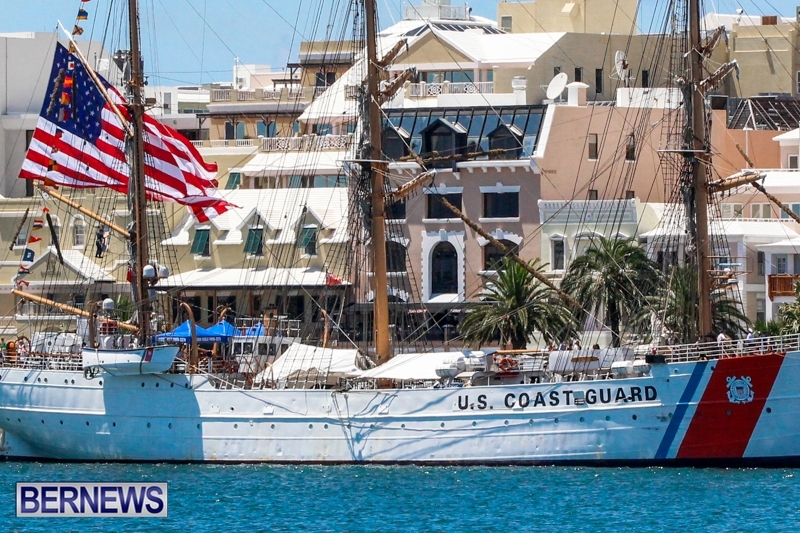 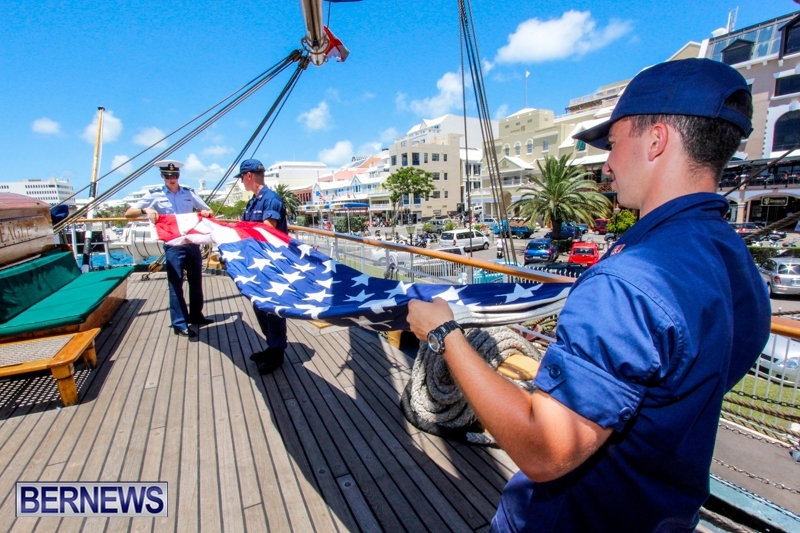 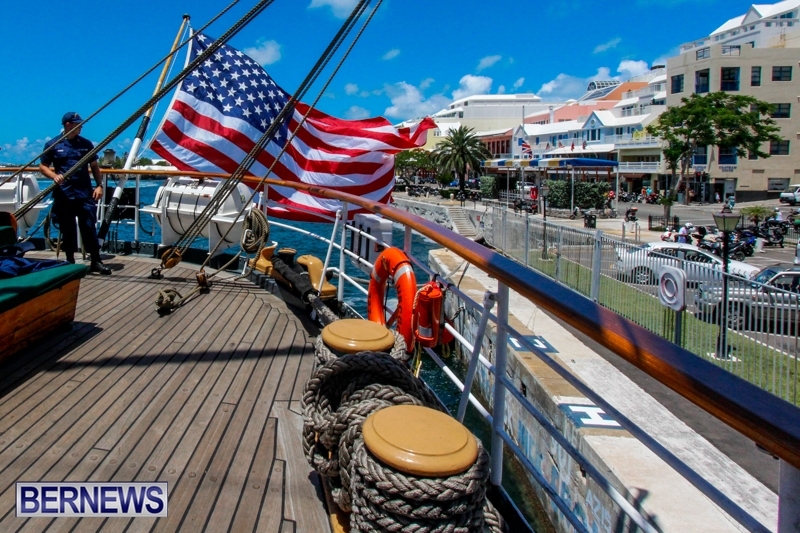 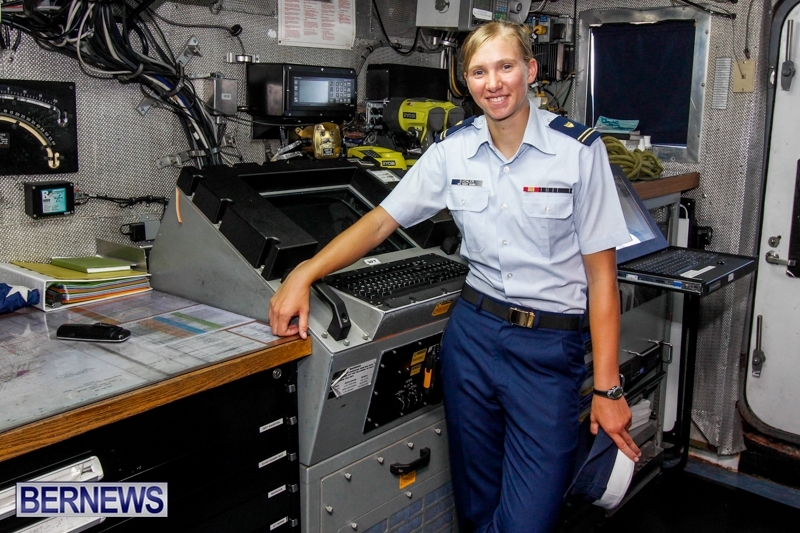 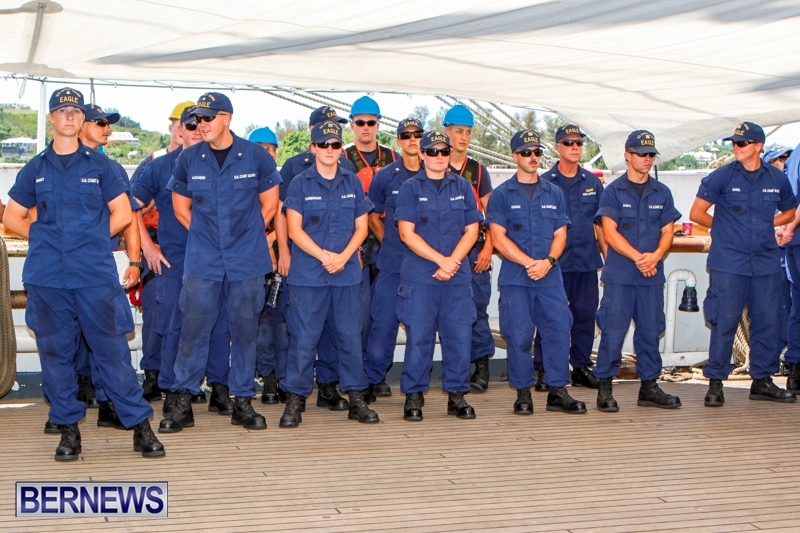 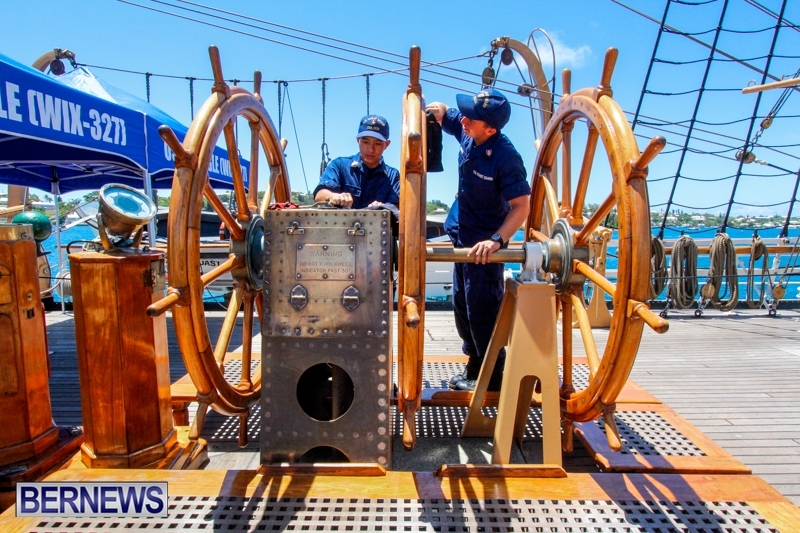 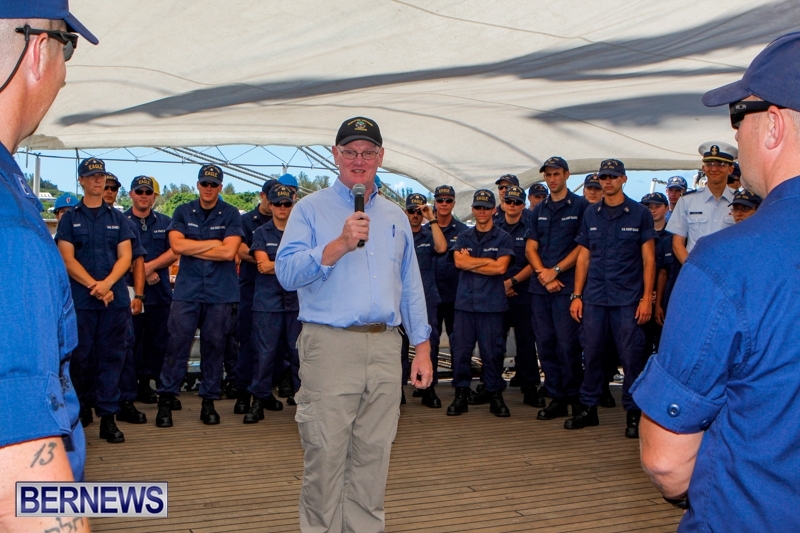 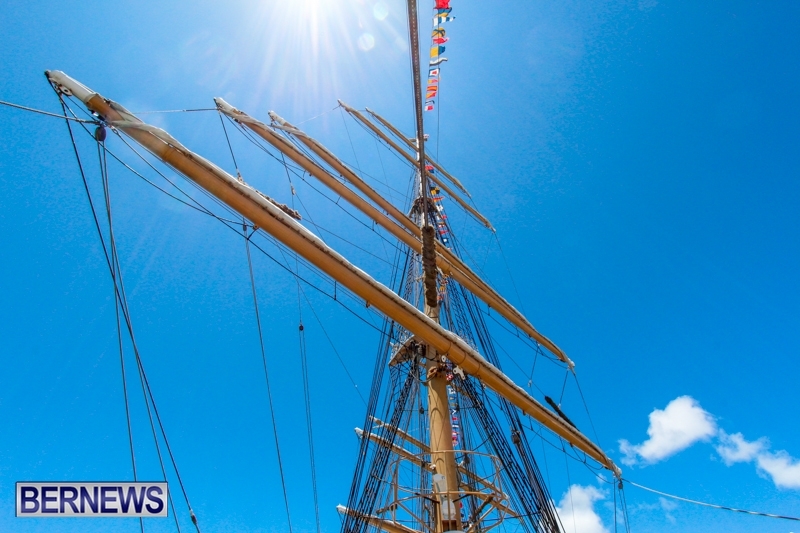 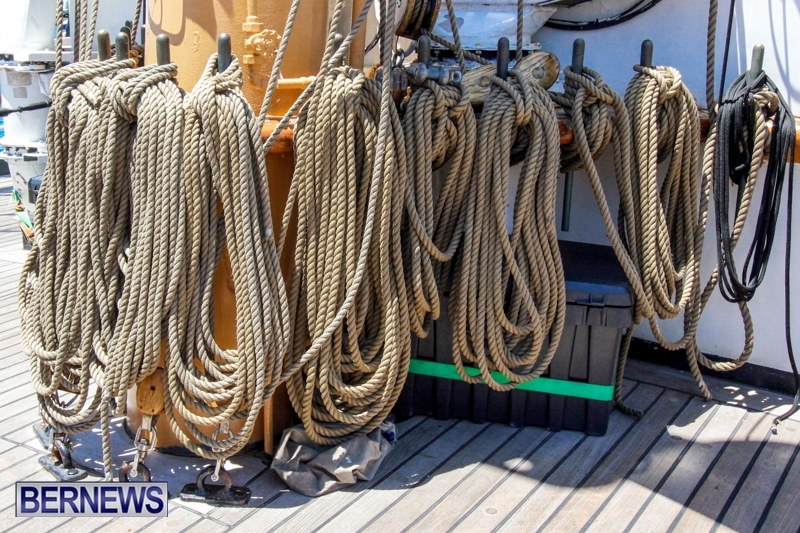 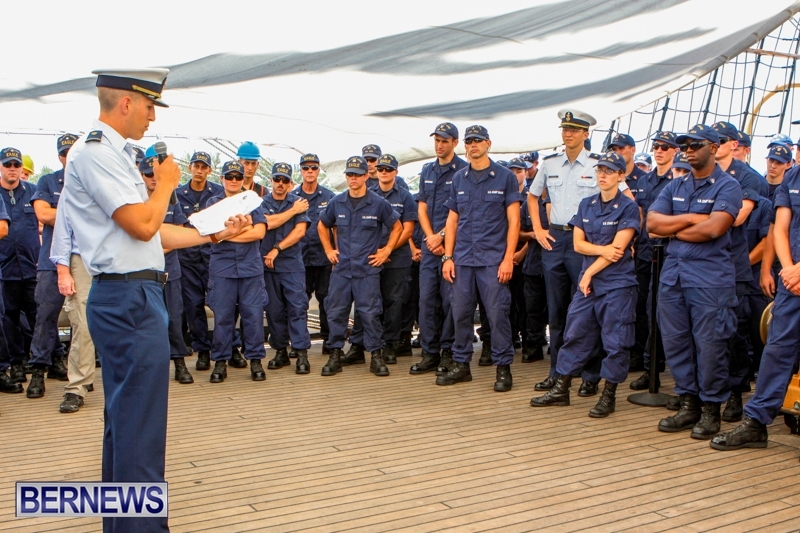 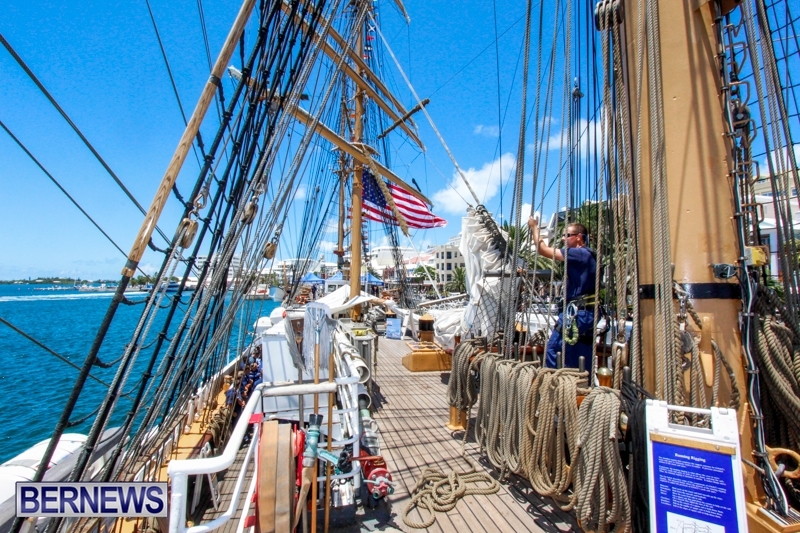 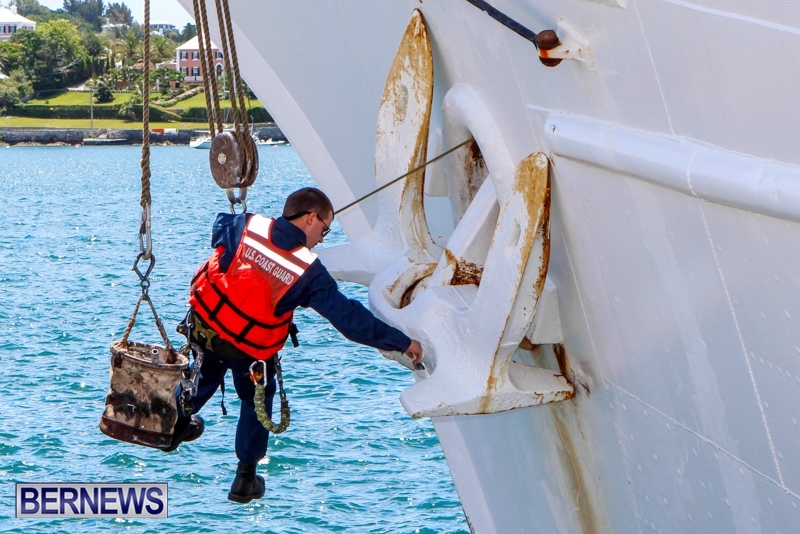 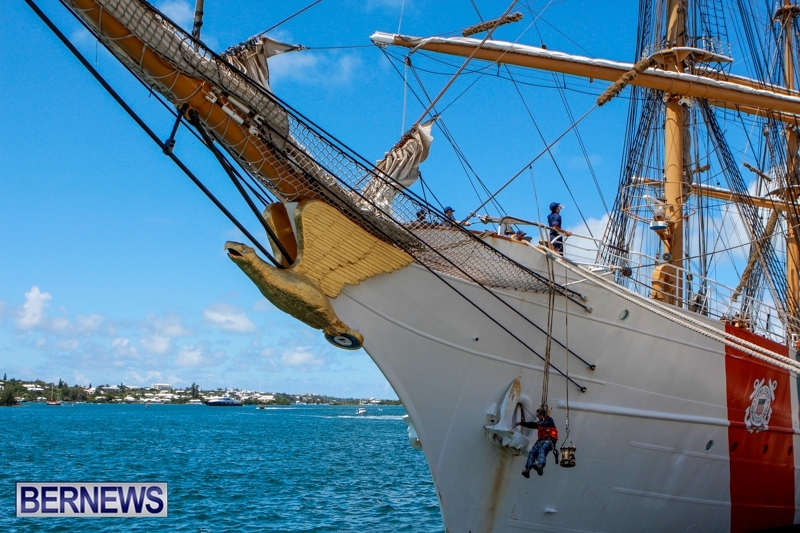 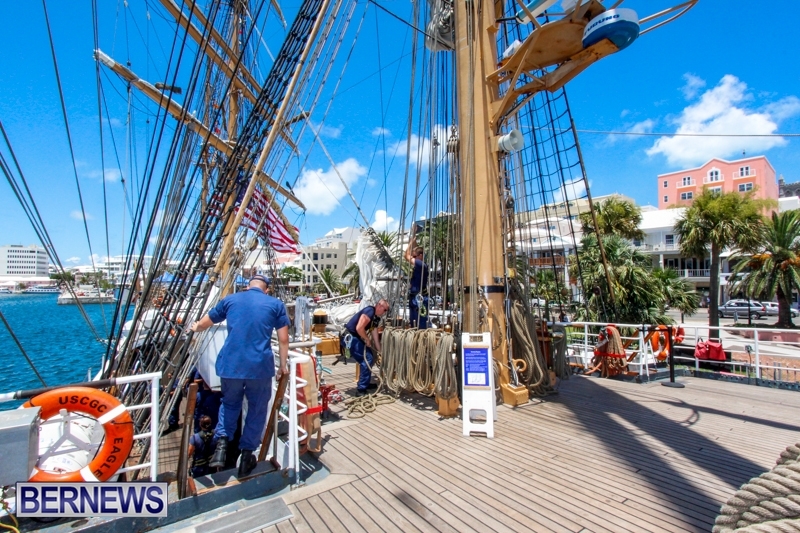 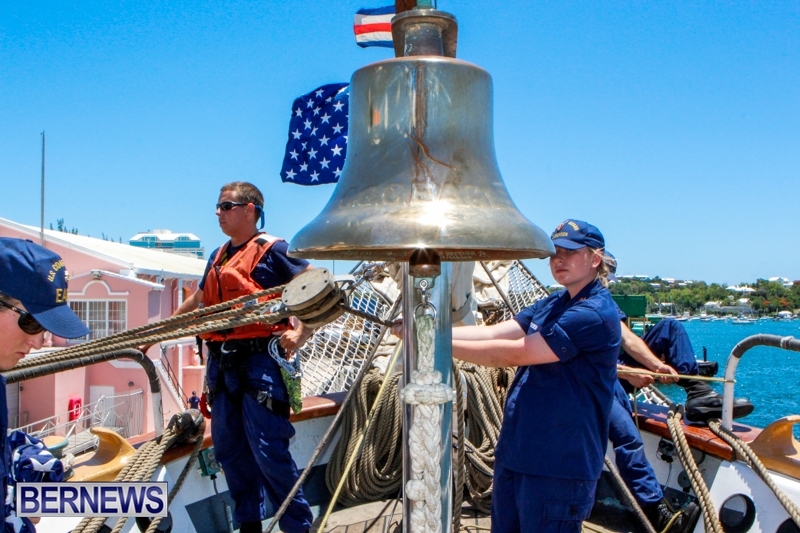 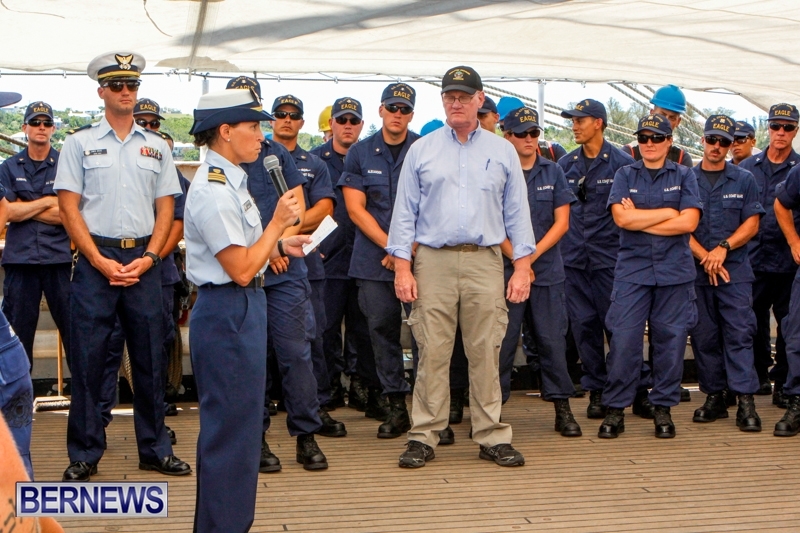 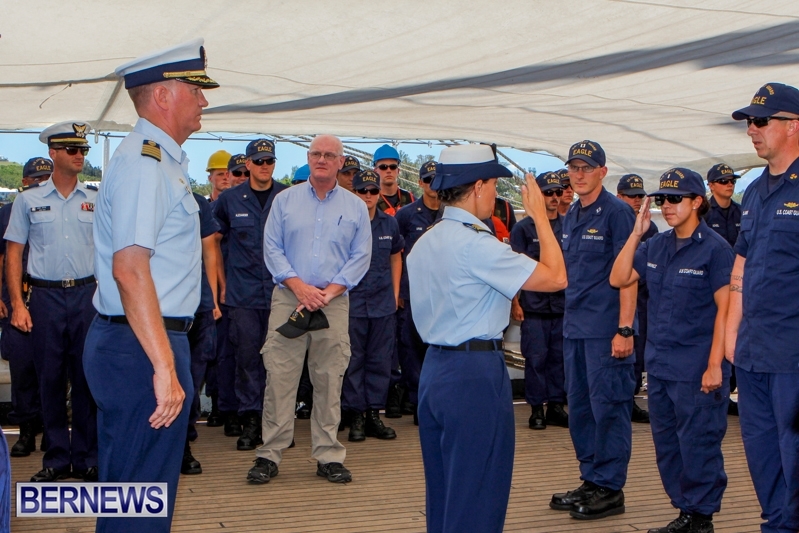 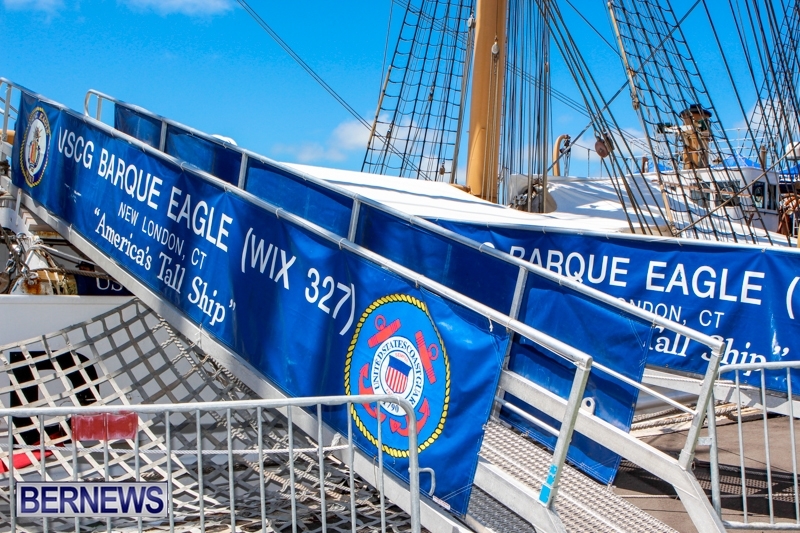 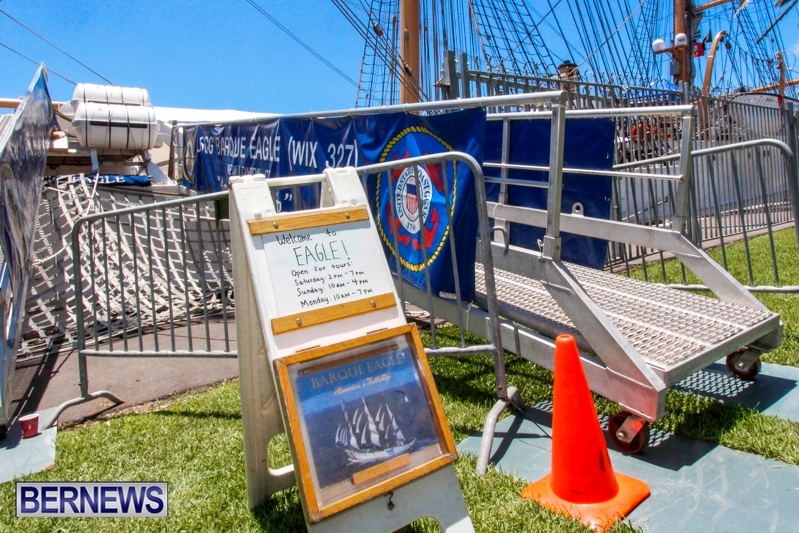 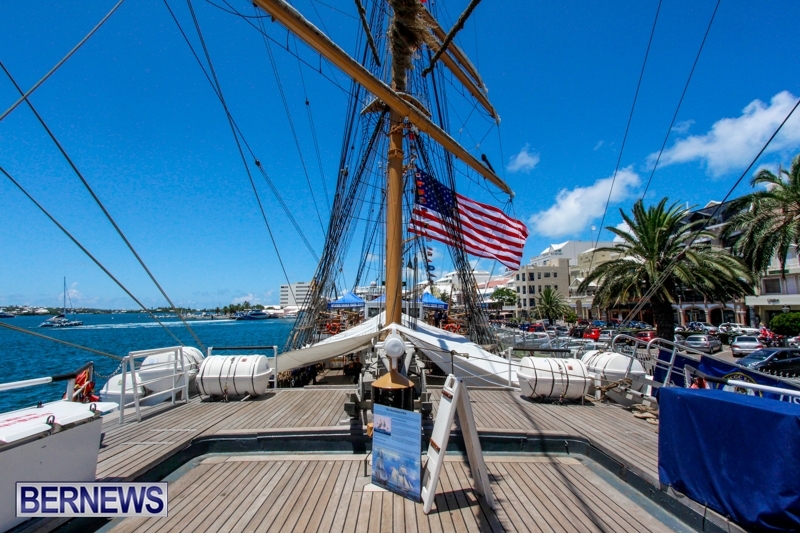 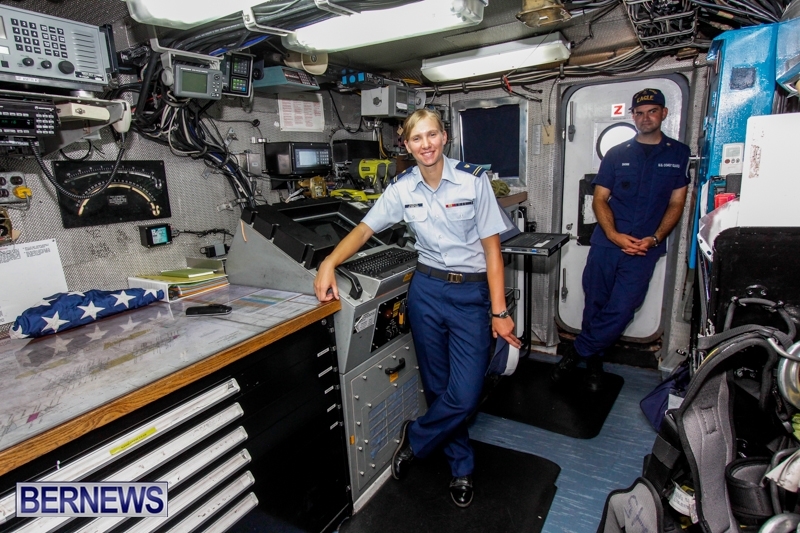 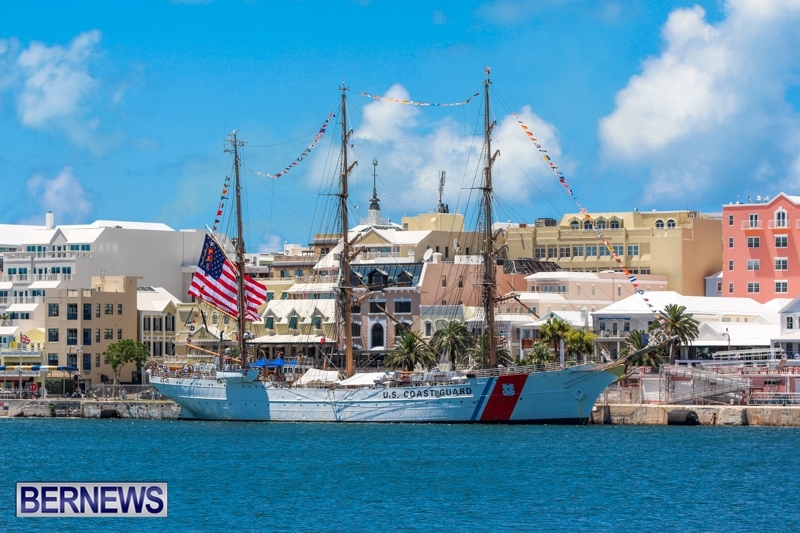 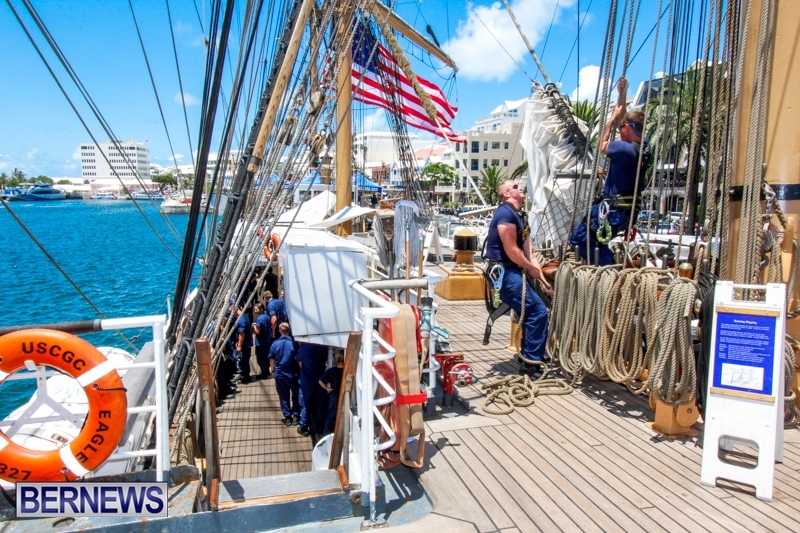 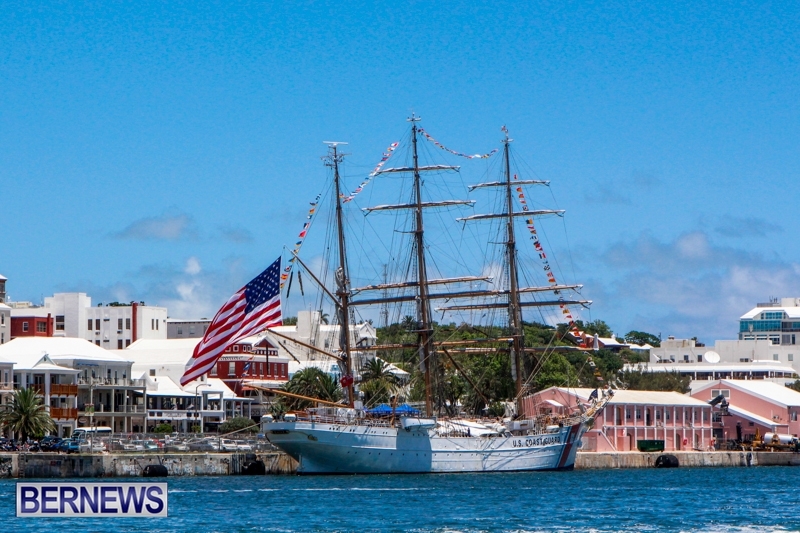 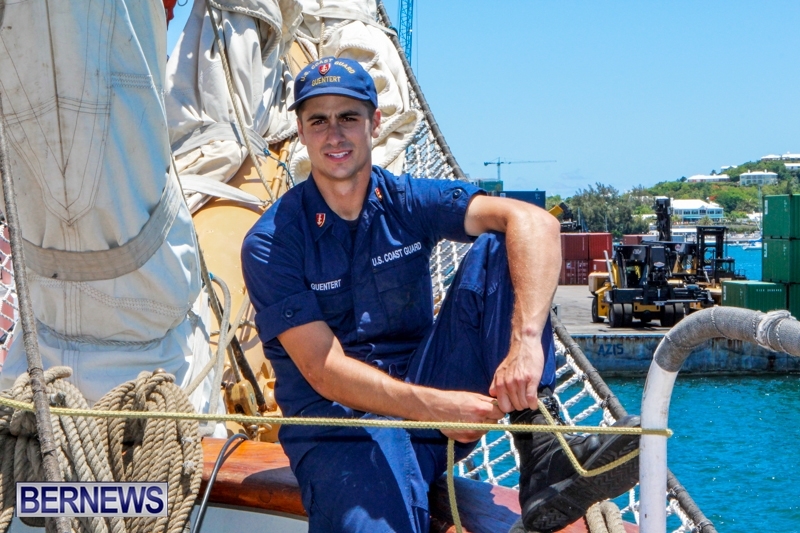 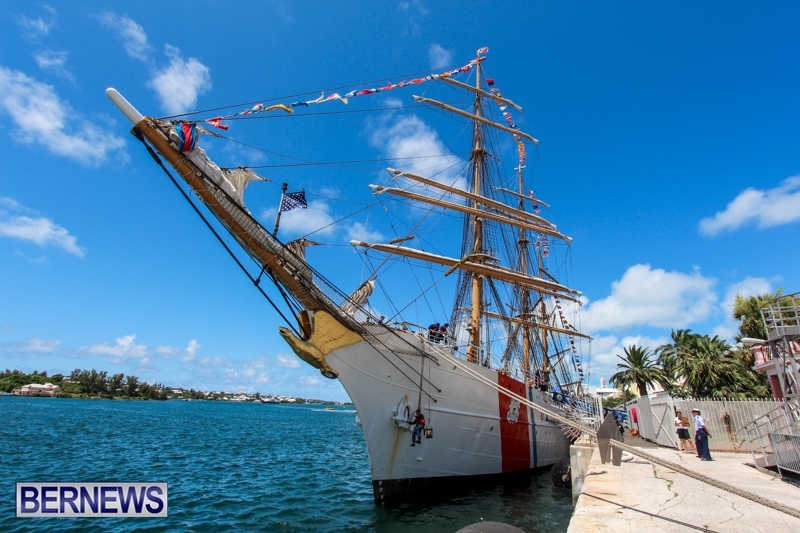 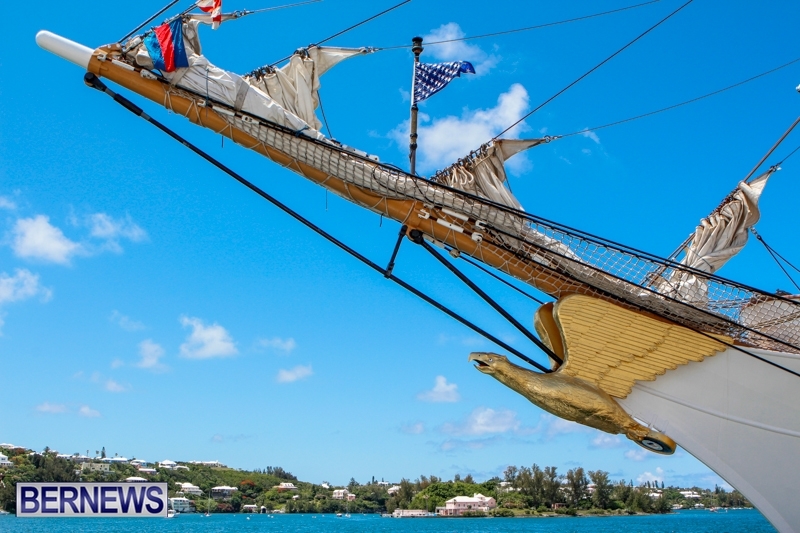 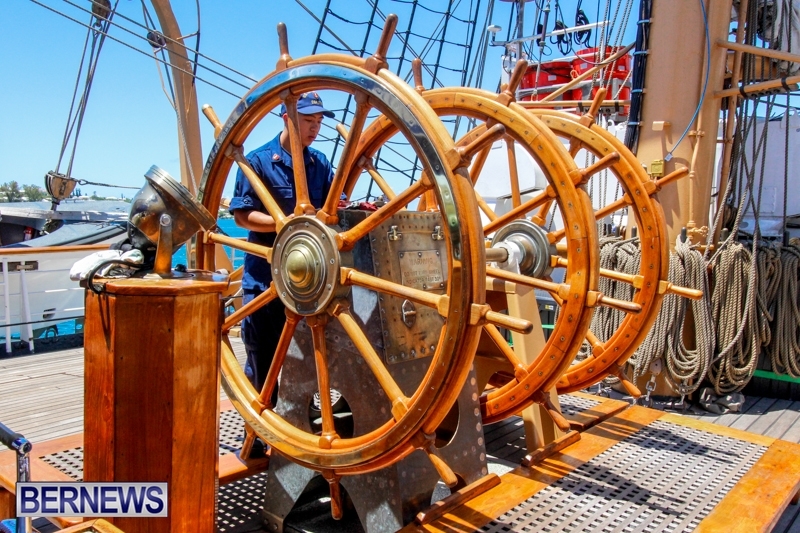 The U.S. Coast Guard Cutter Eagle is scheduled to arrive in Bermuda on Saturday, July 4 as part of its 2015 cadet summer training deployment. 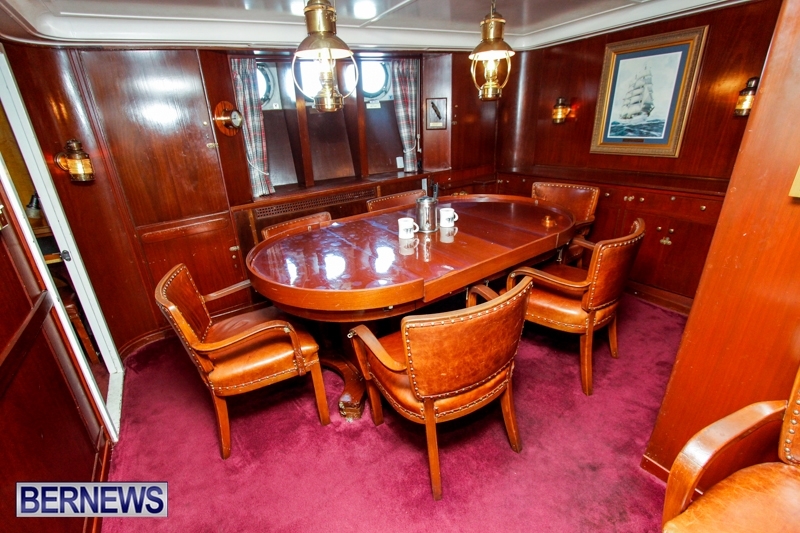 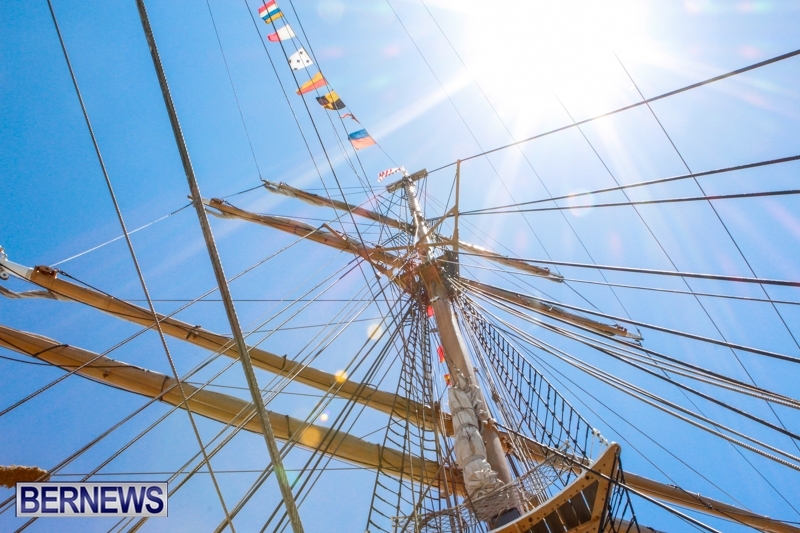 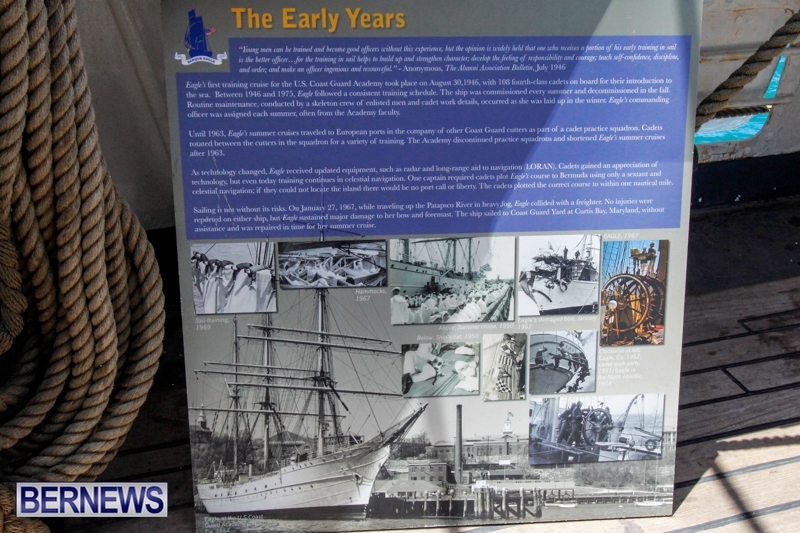 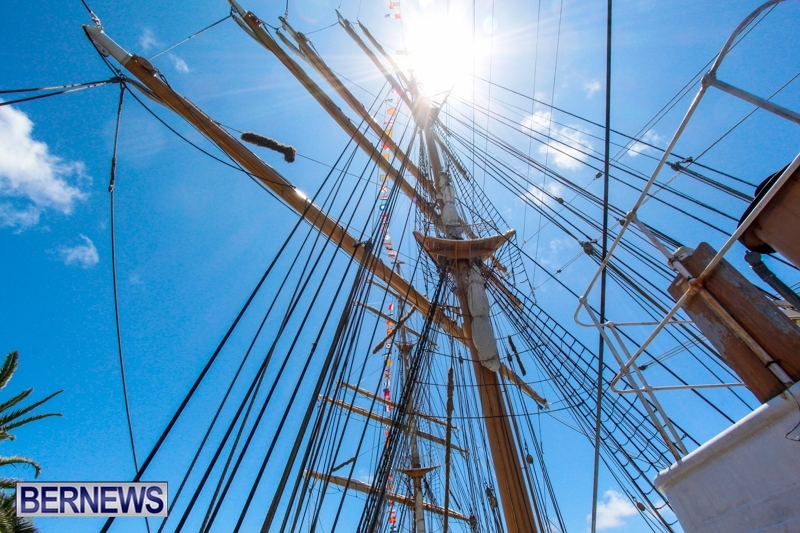 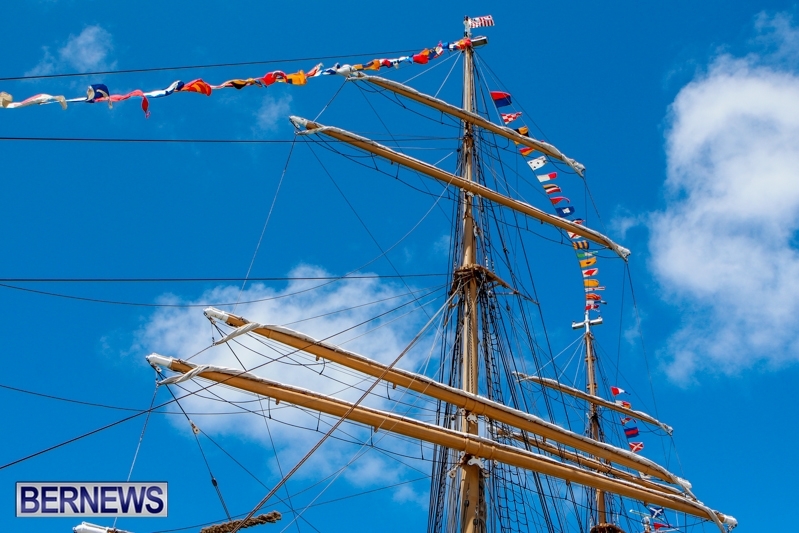 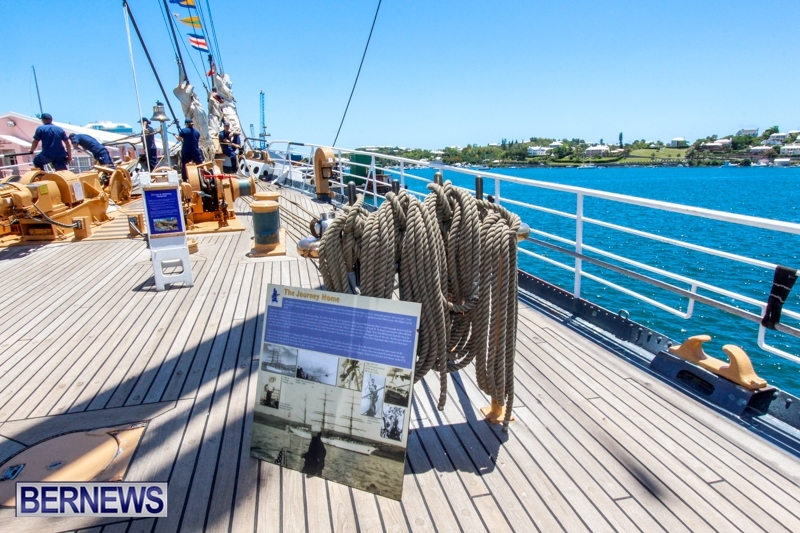 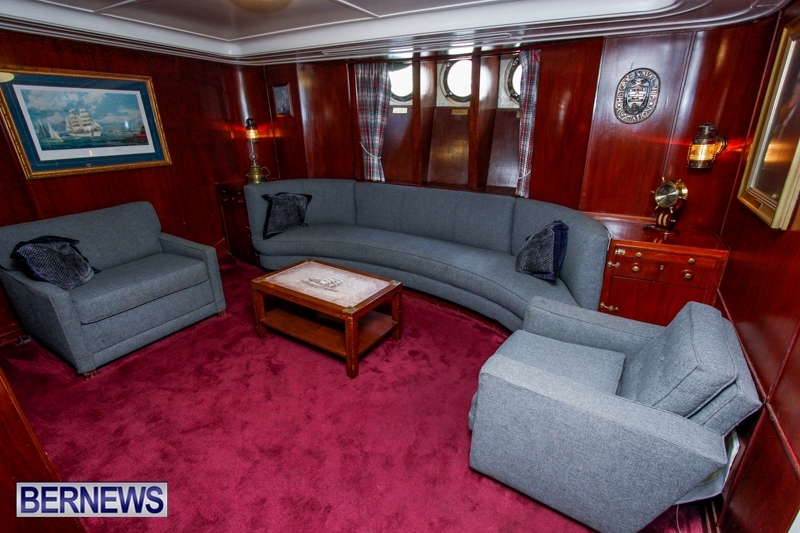 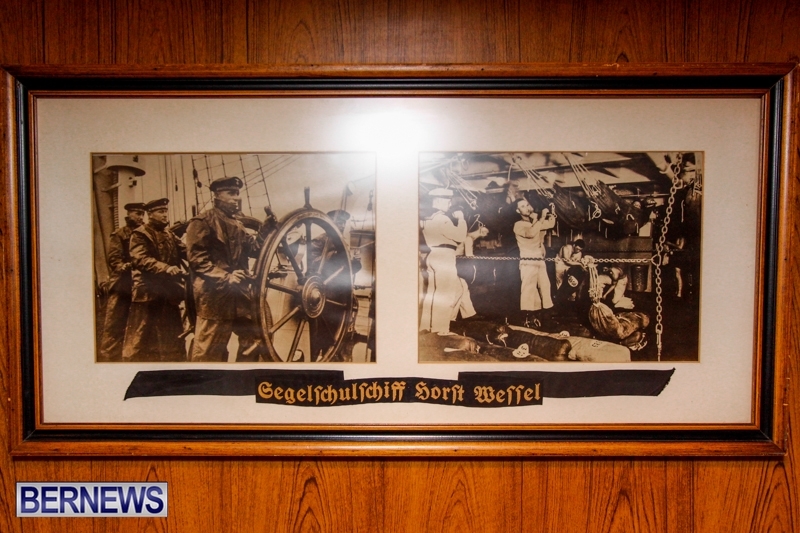 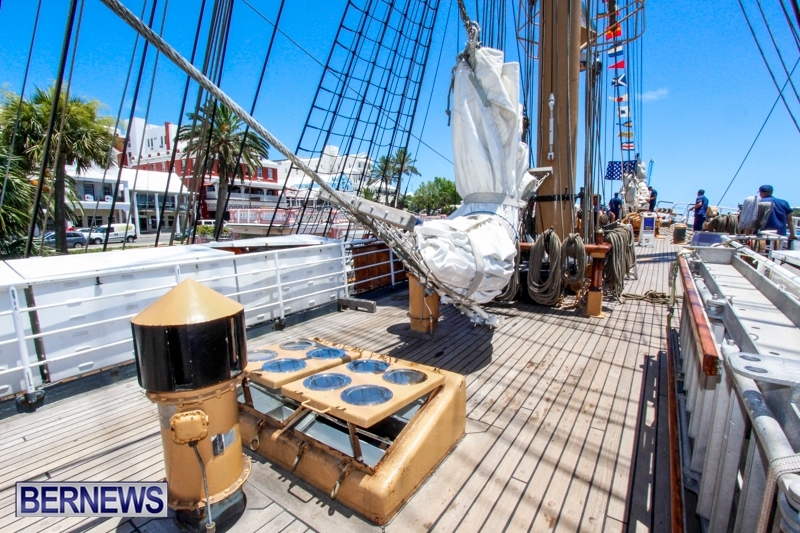 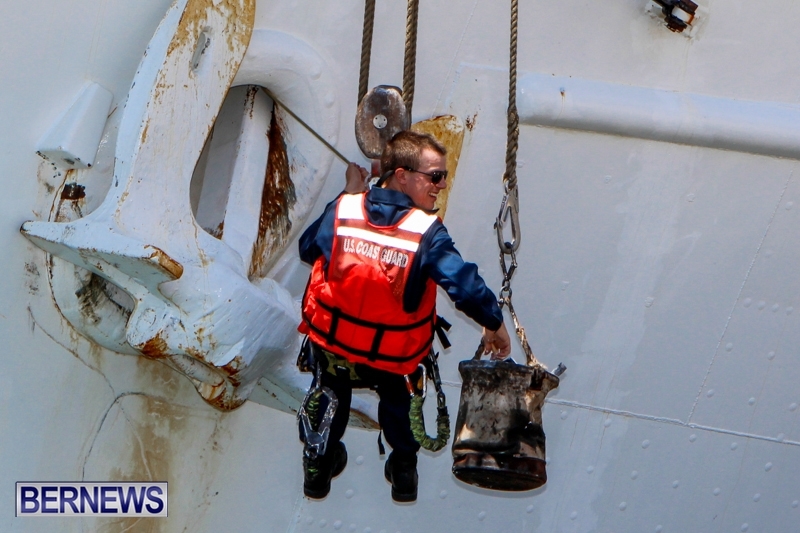 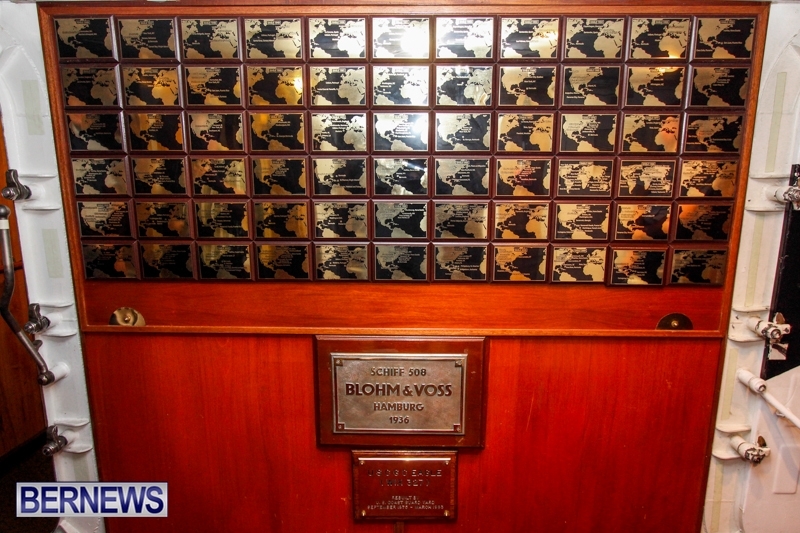 The ship will be moored along Front Street in Hamilton. 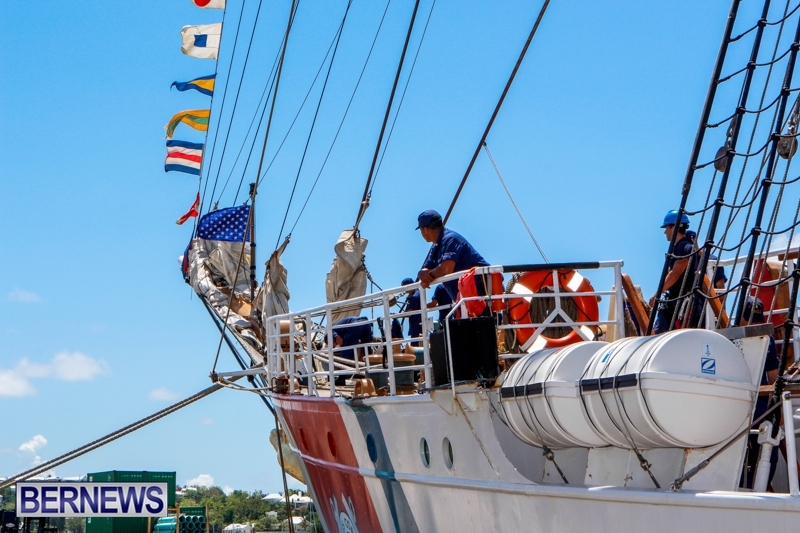 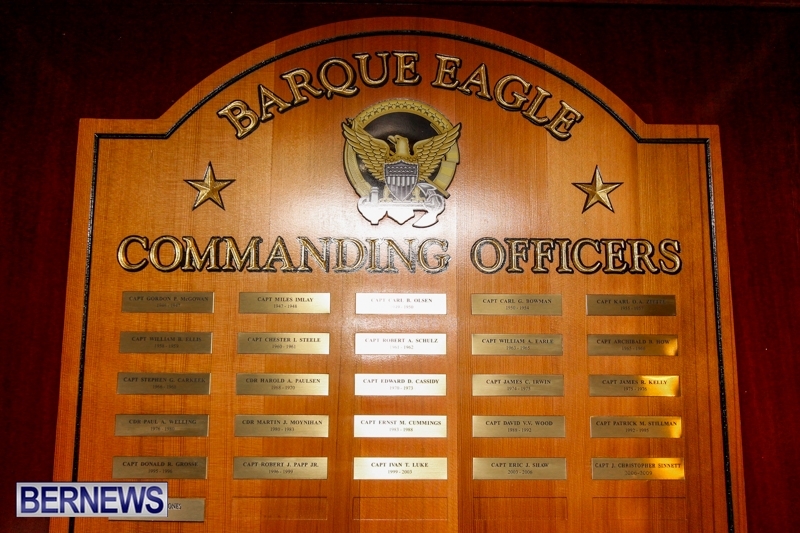 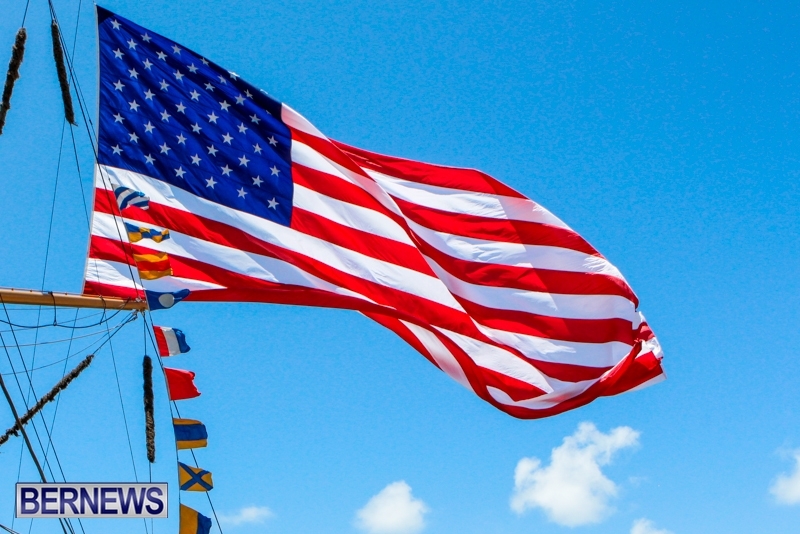 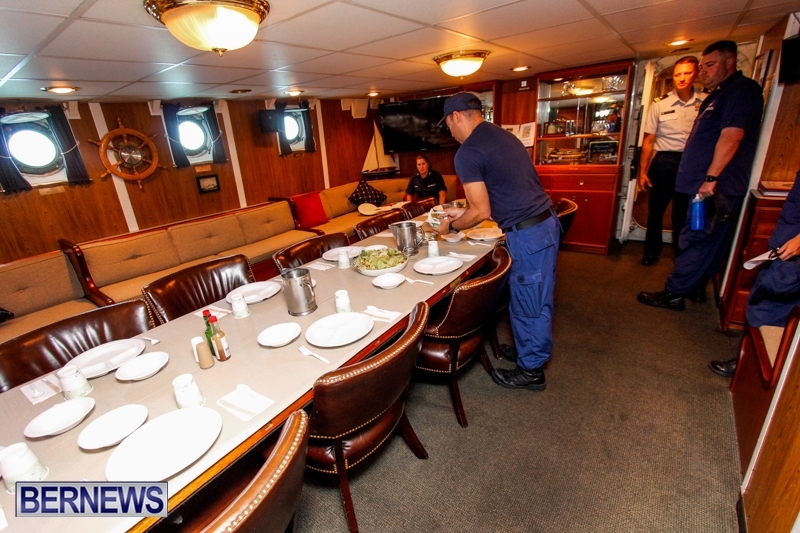 Saturday, July 4 1:00 p.m. – 7:00 p.m.
Sunday, July 5 10:00 a.m. – 7:00 p.m.
Monday, July 6 10:00 a.m. – 7:00 p.m.
A permanent crew of six officers and 55 enlisted personnel maintain the ship and train up to 150 cadets at a time in the skills of navigation, damage control, watch-standing, engineering and deck seamanship. 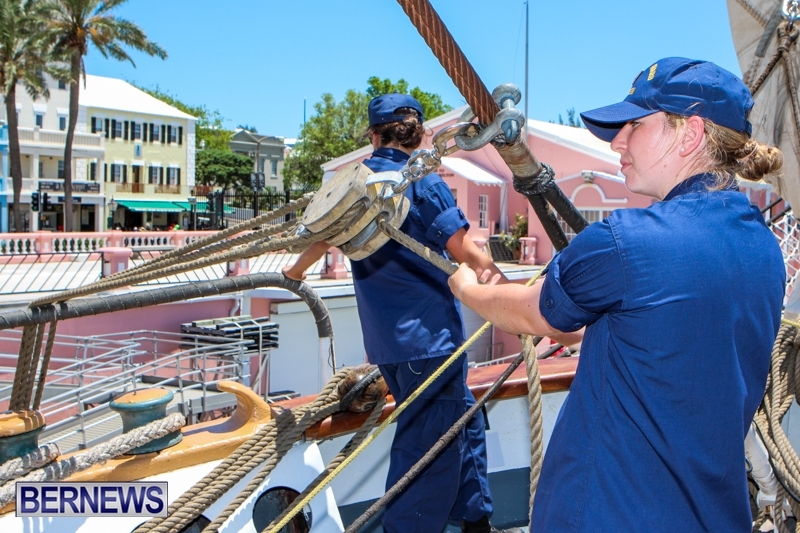 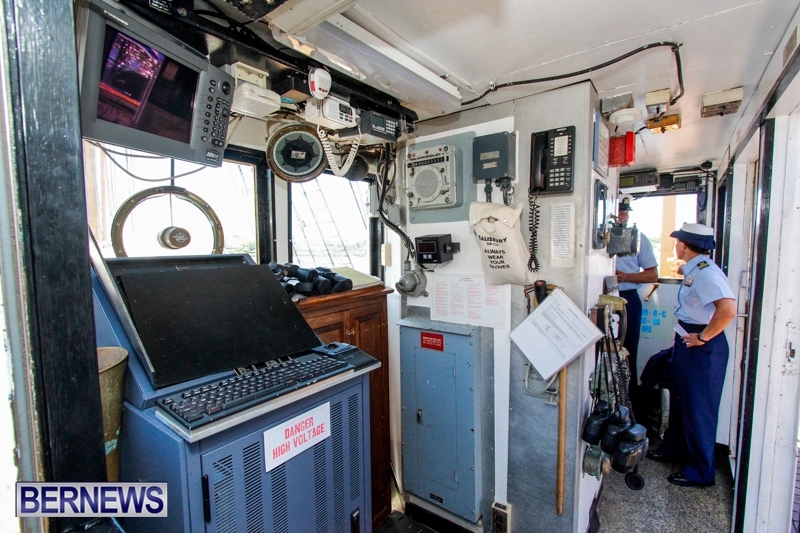 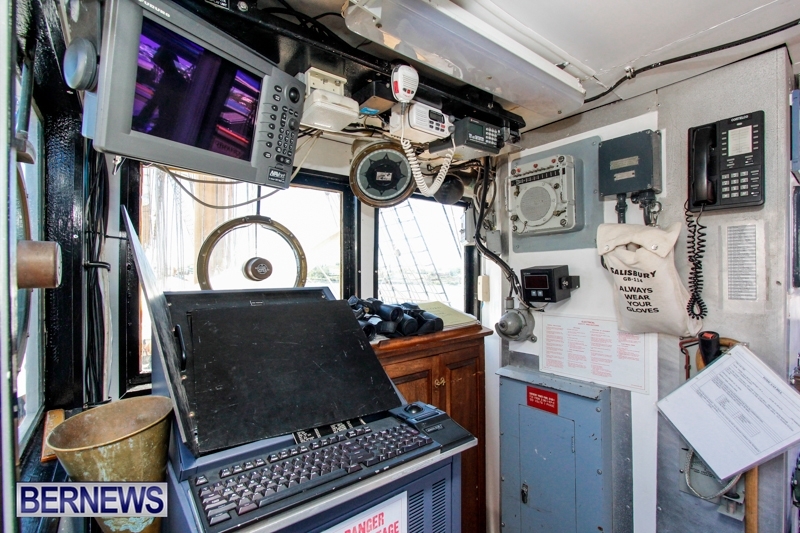 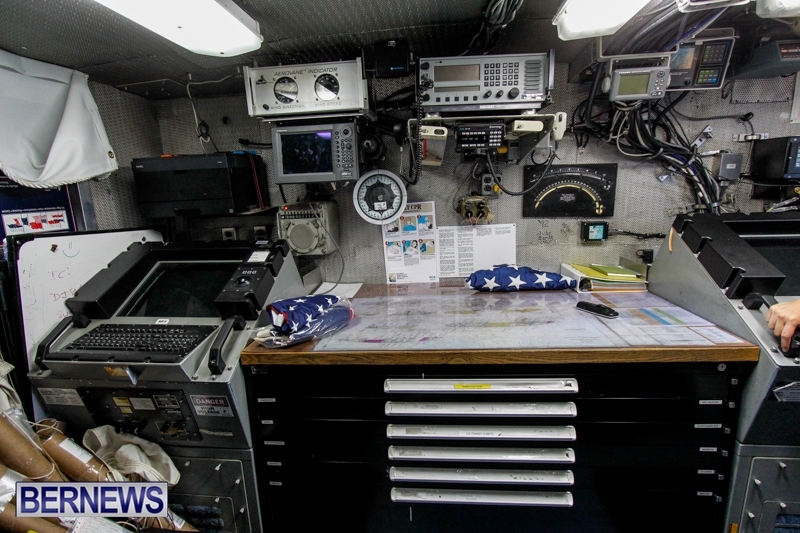 The summer 2015 deployment spans three months, stopping at 14 port calls, including Bermuda and the Bahamas.